It is a women-only networking group format, with a profession “lockout” and structured meeting agenda. In the video, you’ll find out a bit about Barbara’s background as the European Product Manager for Avon Cosmetics in Northampton. She was also involved in the joint-venture markets of Turkey, Greece and Saudi Arabia. Her entrepreneurial light bulb moment happened in part, because of being made redundant as part of an Avon team move to Madrid. She talks about the adjustment from working in a big brand world with established product channels – to a world of small business. She was fascinated with all of the types of businesses that are out there and impressed with how supportive women business owners are with each other. Barbara was attracted to the women-only proposition because she came from a very female based business environment so it was a natural progression for her. If you have wondered about the differences between the types of networking, I ask Barbara to clarify these for you so you know why there are differences and how to choose what’s right for you. Barbara shares what it’s like to take on starting up your own business and what she very quickly learnt she was good at…and what she wasn’t. Multi-tasking and being on top of so many things become a skill that most business owners need to learn fast. She started her business when social media was in its infancy and hadn’t become as vastly implemented as it is today. She says that it has definitely made the marketplace a lot more competitive. As a result, she has had to revisit her marketing and communications strategy in order to properly incorporate these channels. In the past, she has been very active on Twitter but hadn’t, as yet, utilised Facebook as much as she perhaps she could have. Because Barbara’s business is very much a community-based business – there is a natural progression to using a solid Facebook Group strategy. I talk a bit more in the interview on this point. What is fantastic, is that Barbara has been very organised with her data – so this is a massive plus when it comes to then progressing to paid campaigns on social media. We talk a bit more about this too when answering questions from the Live audience, as well as some questions about how to win some PR opportunities. 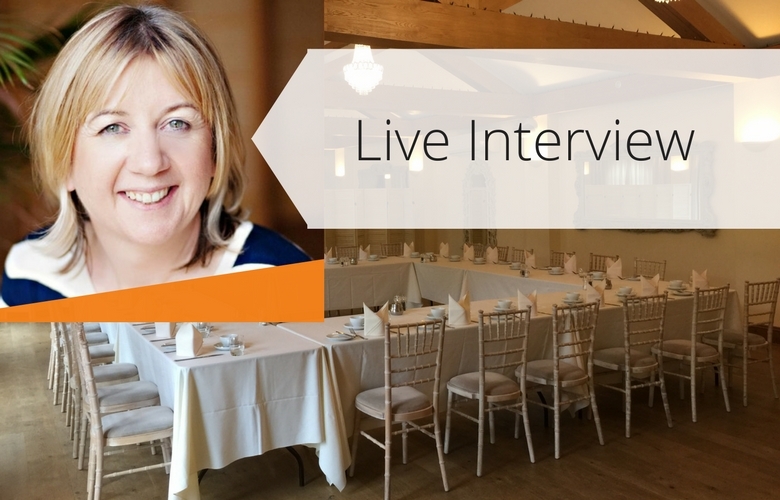 I really enjoyed this interview with Barbara, and love being a proactive member of her WIBN Wellingborough Group. Please do watch the video and if you have any questions to pass on to Barbara – you can still post a comment on the video, or below and we’ll be happy to still answer your questions. If you would like to get a reminder or notification when our next Live interview will be – be sure to go over and “Like” our Facebook Page to get those reminders. We will be posting on Facebook, Twitter and Instagram about our next interview – which will be with Ellen Bletsoe, an Image Consultant based in her own beautiful studio in Thrapston, UK.